Last night was a terrible night when it comes to the liquid fast. My stomach didn't agree with the liquid, and it felt like it was burning inside. It only lasted for maybe half an hour. Then of course I had a headache from hell. I also notice that the Optifast 900 seems to act like a laxative for my body. I can't seem to be able to do anything without having to run to the toilet. Great eh?! Just what I love to talk about first thing in the morning! I want to share everything that's going on, just in case anyone else is going through the same thing, or thinking of gastric bypass surgery. 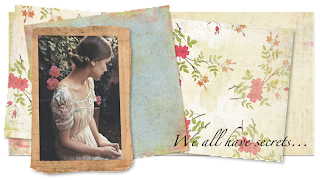 Her blog is quite inspirational with the pictures and different quotes, as well as the thinspiration. There were a few photos that for some unknown reason cheered me up... so I'm going to share them with you and hopefully they will do the same! 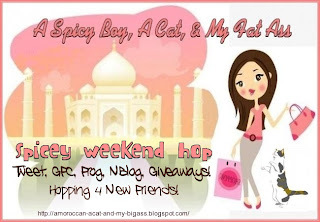 Have a great day everyone... and don't forget to swing by after 3pm to link up in my Spicy Weekend 6 in 1 Blog Hop! Hi, read your blog and I love it sorry to hear that your going through such dilemmas though... Let me introduce you to http://www.trevo4abetterlife.com... It has changed my life. Weight loss, mental clarity and less anxiety and I feel so good. 174 different nutrients and vitamins. You can't go wrong. Awwww, SWEETHEART!! Thank you so very much for featuring me and my little blog in your post, it really means a lot to my that my pictures can motivate others/help them keep going in rough times. Thank you, thank you, thank you for the beautiful comment on my last night's post. And, please, don't worry, I would never go past 'the' point in my diet to get sick.